Well, the weather was very cold, but the global climate continues to get warmer. NASA puts it simply – Weather is what conditions of the atmosphere are over a short period of time, and climate is how the atmosphere “behaves” over relatively long periods of time. 1. People say the world isn’t really getting warmer, some years are just hotter than others, and it varies/goes around in cycles. The 10 warmest years on record have all occurred since 1997. That’s a fact, based on recorded temperatures since 1850 (when reliable records began). Over the last 100 years the Earth has warmed by about 0.75 degrees C, and the speed at which it is warming is getting faster. These days the spring in Britain arrives about 10 days earlier than it did in the 1970s. In 159 years of records, the 10 hottest years have been in the last 12 years. Arctic sea ice is melting; the extent it reaches has shrunk by about 10% every 10 years since the late 70s. The smallest amounts of Arctic summer ice on record were in the last 3 years: 2007-2009. In a few decades, large parts of the Arctic Ocean are expected to have no late summer sea-ice at all. 2. People say we’ve nothing to do with it. Carbon dioxide (CO2) levels in the atmosphere have gone up 38% since 1750 – the year the industrial revolution started. Rising levels of greenhouse gases are directly linked to human activity like burning fossil fuels and clearing forests. There is a clear link between more greenhouse gases in the atmosphere and global warming. 3. But not all scientists agree though, right? The overwhelming majority of climate scientists agree that human induced climate change poses a huge threat to the world. 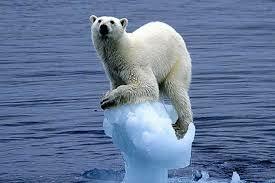 The Intergovernmental Panel on Climate Change (IPCC) is signed up to by 192 governments. Its reports are written by independent scientists. It is one of the most rigorous scientific bodies that exists. It brings together many thousands of scientists from countries all over the world to put together the best assessments of climate science available. What about the leaked emails from the University of East Anglia? There was no evidence that Professor Jones, head of the Climatic Research Unit at the University of East Anglia (UEA), deliberately withheld or manipulated data in order to support the idea that global warming was real and that it was influenced by human activities, according to a report by the Commons Science and Technology Committee. There is an overwhelming consensus, based on decades of climate science and the work of thousands of scientists around the world which says that climate change is real and a major threat. 4. It’s too late, we just need to accept it. The IPCC says we need to stop the world getting more than 2 degrees warmer if we want to avoid dangerous climate change. After that it becomes harder to produce food, while competition for water, sea level rises and loss of species get much worse. With the technologies available for a low-carbon world, action needs to take place now. 5. A bit of melting ice and slightly hotter summers, what’s the problem? Global sea levels have already risen by 10 centimetres in the last 50 years, thanks to melting ice and warming oceans. This is already threatening low-lying countries, such as some islands and Bangladesh. Millions more people are expected to be flooded every year by 2080. Latest predictions suggest the sea could rise by 1 metre this century. In Europe alone, this could affect over 20 million people. And it looks like the sea is rising more quickly now than in the 20th century. 6. Some countries have always had droughts, it’s nothing new. Severe droughts are now twice as common as they were in 1970. More drought is affecting which crops we can grow effectively. Global demand for food is expected to nearly double by 2050. But by 2025, lack of water could mean we produce a third less of the volume of cereals we currently eat – that’s the same as losing the entire grain crops of India and the US combined. 7. Global warming is just to do with natural changes in the Sun. Scientists are clear that there is strong evidence that changes in solar radiation could not have caused the rapid warming we have seen over the past fifty years. The Met Office has stated that since the Industrial Revolution, additional greenhouse gases have had about ten times the effect on the climate as changes in the Sun’s output. 8. We’ve all got a lot on our plate – let’s worry about it later. Even if all greenhouse gas emissions stopped tomorrow, we are already locked into a global temperature rise of at least 1.4°C (since 1750) because of the delayed impact between emissions and temperature. It is already happening, and we need to act now to stop it getting much worse. 9. It won’t happen to us though. Developed countries suffer impacts too. The 2003 heat wave in western Europe, which caused 35,000 deaths (2,000 in the UK), is already twice as likely to happen again next year. By the 2040s Europe will consider such a summer normal. By 2060s they will consider it cool. 10. Surely it’s only the odd polar bear, who cares? Species are already being forced to migrate or adapt. Scientists think that around 20% of species will become extinct with 2 degrees of warming – and it will be a real challenge, even if we act right now, to keep to that limit.